Even though only two episodes have aired, This Is Us is already one of the break out shows of 2016. One of the reasons that This Is Us is so instantly lovable is undoubtedly the incredible cast, featuring favorites like Mandy Moore and Milo Ventimiglia. Ventimiglia, in particular, has undergone a style overhaul to appear in the new show, which spans decades of time and sees his character sporting several different looks. One such look involves Ventimiglia having an extremely prominent, and according to the show's creator, "controversial" mustache. But Ventimiglia's mustache in This Is Us isn't really controversial to me. I mean, isn't it exactly what Jess Mariano would do? 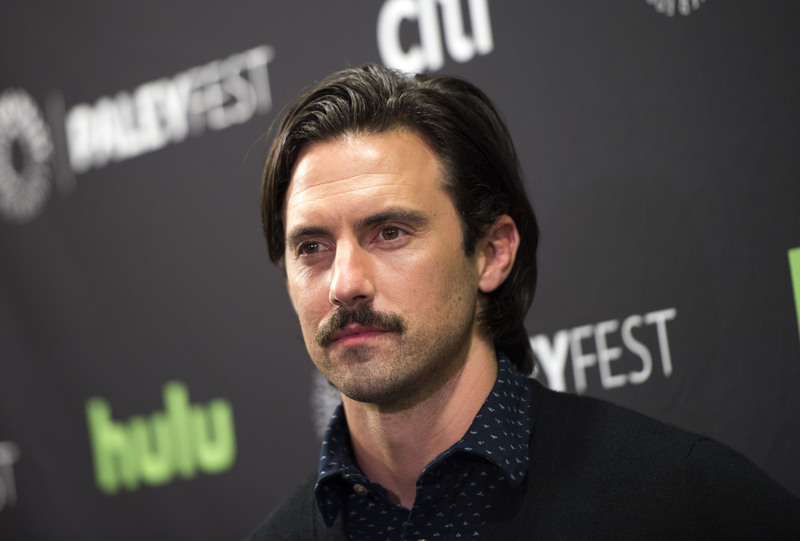 Of his choice to have a mustache for the '80s segments of filming, Ventimiglia told Entertainment Weekly, "I think about Tom Selleck or a million of the icons that I grew up with, and the different roles that they played.” Clearly, the actor's choice of facial hair for his role in This Is Us fits perfectly with the decade it's set in, and his look is definitely reminiscent of Selleck and other '80s actors. It's strange to think that his decision could be considered controversial. It makes a lot of sense, and automatically tells the audience which decade they're in, since This Is Us frequently utilizes time jumps. Perhaps most importantly, the mustache feels like something Jess Mariano would do. I wouldn't be at all surprised if Ventimiglia is sporting some unusual facial hair in Gilmore Girls: A Year In The Life, since Jess's style was always influenced by vintage fashions, and the character could absolutely pull off a solid mustache or a full beard. It's undeniable that a mustache is a bold choice, but, honestly, it seems to have been the right choice for Ventimiglia's portrayal of Jack in This Is Us. As far as I'm concerned, he can pull off any look he chooses. I'm just glad that he's back on our TV screens where he belongs.